The first recorded use of war dogs go back to 4000 BC, to the Egyptians who used them in battle. But the modern use of dogs in the US military really started in WW I. Since then, dogs have become an integral part of the U.S. military. Including the dog, Cairo, who was involved with the takedown of Osama Bin Laden. My fascination with this unique bond of dog and military handler was ignited during “Operation Thriller,” a USO tour of authors to Iraq and Kuwait in which I participated back in the winter of 2010. Out in that sandbox, I got a chance to observe a few of these fighting teams in action. Not only did I get the opportunity to meet with these four-legged soldiers and their two-legged partners, but I was allowed firsthand access to their daily life. I heard one phrase over and over again that captured this relationship: it runs down the lead. I learned that as these handlers trained where around their dogs 24/7—training together, eating alongside one another, sleeping in the same trenches—that over time the pair learned to read each other’s body language and understood each other beyond mere gesture or spoken command, that their emotions ran up and down the leash, binding the two intimately together. After learning of this unique bond, I wanted to try to capture that intimate psychological connection on the page, giving birth to Captain Tucker Wayne and his war dog, Kane. To do this pair justice, I visited Lackland Air Force Base where war dogs are raised and trained. While in Baghdad, I also met a fellow veterinary school classmate who was with the U.S. Veterinary Corp. He was able to give me great insight into the technology, the psychology, and even the aftermath of such a unique fighting team: from the Kevlar-reinforced K9 Storm tactical vest worn by the dogs to their amazing communication gear that allows handlers to see through their dogs’ eyes. I also learned about how PTSD afflicts not only the soldier but also the dog, and how efforts are being done to combat and treat both sufferers. Lastly, after three decades of working with dogs as a veterinarian, I knew I wanted to portray these stalwart war heroes as they really are—not just as soldiers with four legs, but as real dogs. Through scenes written from the war dog’s point of view, I wanted readers to experience what it’s like to be such a warrior—to be in their paws—to paint an accurate portrayal on how such dogs perceive the world, how they function in combat, how they cope with loss and grief. I hope I did them justice. Q. Your novel addresses a new form of Post Traumatic Stress Disorder called “moral injury.” What is different about this condition? Moral injury is a shade of PTSD that is still poorly understood. It relates to the shattering of moral and ethical expectations—an injury to someone’s fundamental understanding of right and wrong— and according to the U.S. Department of Veteran Affairs, it can manifest as shame, guilt, anxiety, and anger, along with behavioral changes, such as alienation, withdrawal, and self-harming (including suicide). With this novel, I attempted to share this condition with readers, to get them to better understand the causes and consequences of someone afflicted with this aspect of PTSD. As with most veterans, there is no quick fix. For those afflicted, it’s an ongoing process to find their center again. Q. Your stories always have a ripped-from-the-headlines accuracy, broaching subjects of importance to your readers. 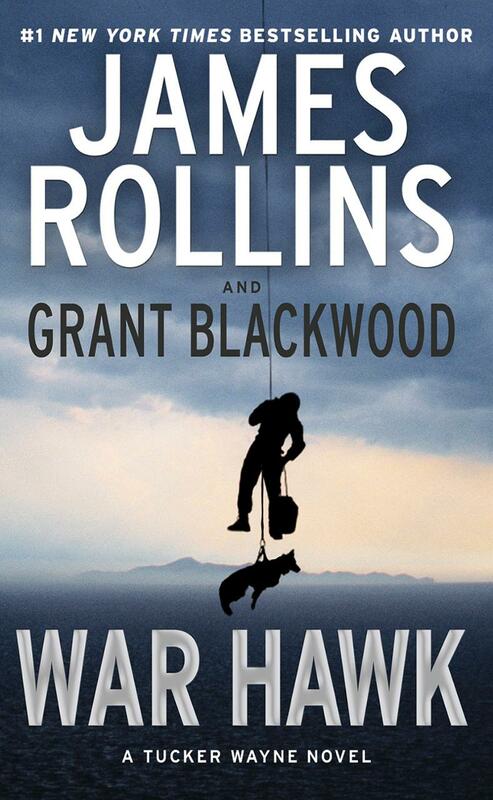 In War Hawk, you shine a spotlight on the current status of drone warfare being waged by the U.S. military. Why this subject and why now? One only has to read the newspaper to understand and appreciate how prevalent the use of drones has become in modern warfare. Such vehicles are used more and more by all branches of the military, both for surveillance and for aerial attacks. They range in size from the massive Global Hawks to the small Ravens. But even they are only the tip of the iceberg. There is currently an arms race underway to develop new and improved robotic warriors, even those that can operate autonomously. Basically drones that can be sent out to kill with little or no human involvement. This raises a fundamental question: will the use of drones save lives or will the ease of their use—killing from afar—make us more likely to go to war? Will we begin to shoot first and ask questions later? Such moral questions are the subjects I wanted to explore in my latest book. Q. You also raise the chilling question about the changing status of who will control these future drones. How likely is the scenario you describe in your novel? As with the advancements in drone warfare, the modern battlefield is changing in a disturbing way. We are now seeing the lines blurring between military forces and those armies being controlled by corporations—not just private defense contractors (like Blackwater), but also full fighting forces that are being wielded by corporations. When war is being orchestrated in corporate boardrooms, success becomes more about profitability, accountability, and a corporation’s bottom line. It blurs the line regarding who truly is in charge. And this shift in power is changing rapidly. To save money and balance budgets, governments, including our own, are handing more and more military powers over to corporate boardrooms. Q. War Hawk also looks at a new generation of battlefield, one that could change the face of war forever. How likely is this scenario? We’re already there. It’s being waged by ISIS in the Middle East, by Russia in Ukraine, and by China on U.S. shores. It’s called information warfare—and it goes well beyond mere cyber attacks. For better or worse, everything nowadays is connected and intertwined digitally. This scenario has created a wobbly house of cards, one that could easily be toppled. Nations, including the U.S., are investing billions to establish military commands for this new type of warfare, to learn how to topple a foreign country’s house of cards, while beefing up one’s own. Unfortunately, both Russia and China are already ahead of us in this regard. This story casts a light on how such wars are being fought today—and more disturbingly where it might lead. Fill out the form below to create a review for war-hawk-a-tucker-wayne-novel. Your review will have to be approved first before it will show up on the site.